Free Shipping on Orders Over $75. See site for more details. 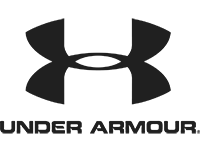 Under Armour’s mission is to make all athletes better through passion, design & the relentless pursuit of innovation. That means everything Under Armour makes - shoes, apparel, accessories & connected fitness products - actually does something. Whether that means a T-shirt that keeps you cool or shoes that feel like nothing else you’ve ever put on - everything makes you better. Please Note: Orders suspected as reseller activity are not eligible for AIR MILES Reward Miles.